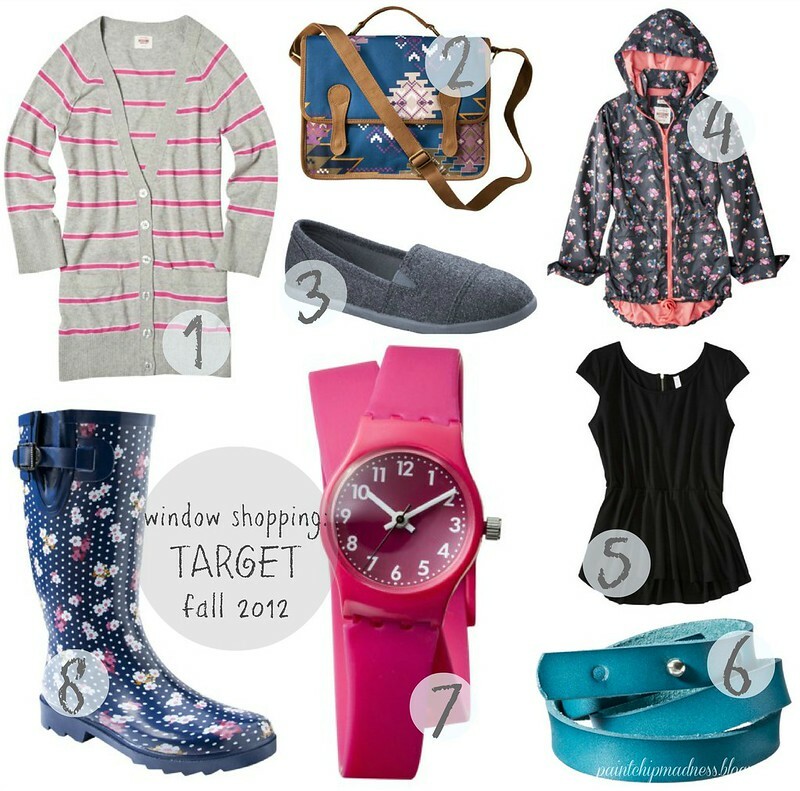 window shopping: target fall 2012. I think it's kind of a no-brainer that Target is one of the best places on Earth. I'm pretty sure everyone shops there. Probably because they literally have everything imaginable (although I'm not sure I'm completely sold on the grocery store part). Anyway, I've been on the hunt for some rubber rain boots this fall/winter, so I've been perusing the old internet to see if I could find anything. And of course, I checked Target first. But when you're shopping (online or in person), you can't just look in one place/department (that is, except my Dad. He goes buying instead of shopping). So I also looked around at the handbags, shoes, sweaters, and accessories. Which is how I found all these pretty things. Even prettier (on the wallet) because each item is under $35. The chances of me actually purchasing any of these things is unlikely, but that's the whole point of window shopping, right? And if you have rain boots (that aren't expensive), would be so kind as to tell me where you got them? I'm still on the lookout for a good + reasonably priced pair. p.s. I realize these are hardly fall colors. In fact, they're more spring-y than fall-y. This probably says something about my style...or lack thereof.